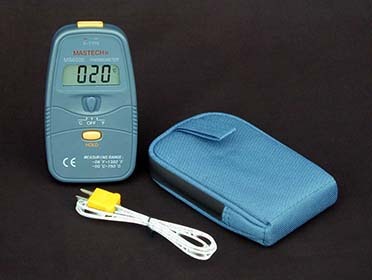 TE Technology, Inc. distributes this K-type thermocouple temperature meter which is useful in measuring ambient air, enclosure air, heat sink, cold sink, and other system temperatures. These measurements, in turn, can be used to empirically determine parameters such as thermal resistances, the system’s operational Vmax or Imax, and the net cooling effect afforded by the thermoelectric system. 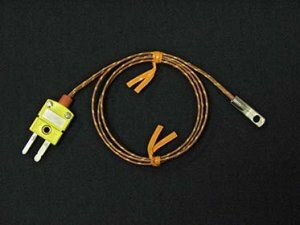 One bead-type thermocouple is included for measuring air temperatures or imbedding in a sensor hole with a conductive epoxy or thermal paste. For measuring the temperature of a heat sink, cold plate, or other flat surface the optional lug-mount thermocouple probe (TT-2) and thermal paste (TP-1) are recommended.